Explore our offerings in detail. Our 2018-2019 crop is now in our US warehouse, and we can't wait to share it with you! Check it out! Modelo lot: Calls for a comfortable, enjoyable cup. Our Modelo coffee is like that guy that everyone seems to like. It'll make you look forward to its company in your morning cup. Las Marías lot: One of our richest and most picturesque lots, as it sits on the skirts of our volcano and is home to one of our Ceibas (the Guatemalan national tree.) There's just something about being on this lot that makes you feel like one with nature, adding a little extra allure to its cup. San Isidro lot: Named after Saint Isidore, the patron of farmers. We are very excited to introduce this lot, as it is the first time that we harvest from our volcano! Just picture yourself standing on top of a volcano, overlooking the beautiful Guatemalan landscape, while you sip on your (delicious) cup of coffee. Cupping notes: not available yet; first year bringing this coffee to you! San Isidro lot: Also making a return to our lineup is the fun and bright yellow icatú. 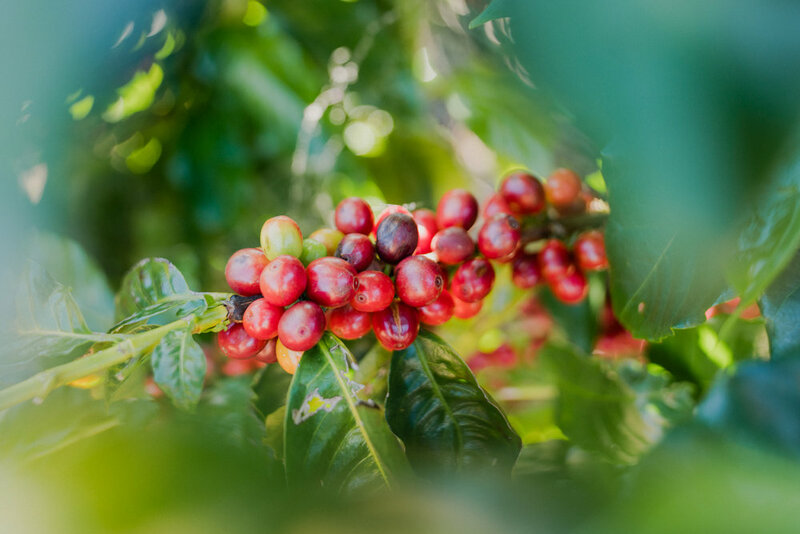 The icatú variety is a product of the crossing of the robusta and bourbon varieties, resulting in plants with high production yields and a strong disease resistance. Straight from the volcano, to you!